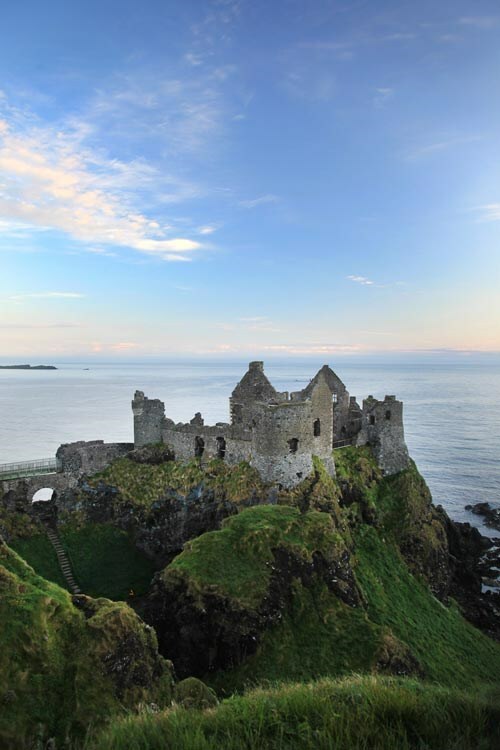 GOLFSelect - Golf Holidays - Northern Ireland &amp; Scotland Escorted Tour | July 18-31, 2019 | Only two spots left! 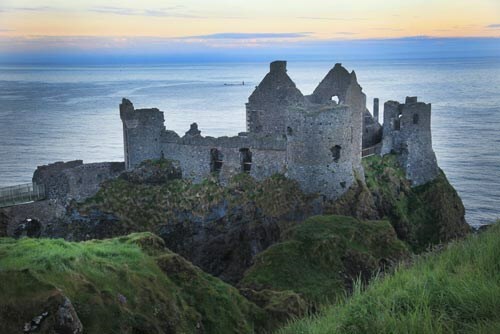 Northern Ireland & Scotland Escorted Tour | July 18-31, 2019 | Only two spots left! The Open Championship returns to Royal Portrush and Northern Ireland for the first time since 1951. This event promises to be exciting as the top golfers vie for the Claret Jug. 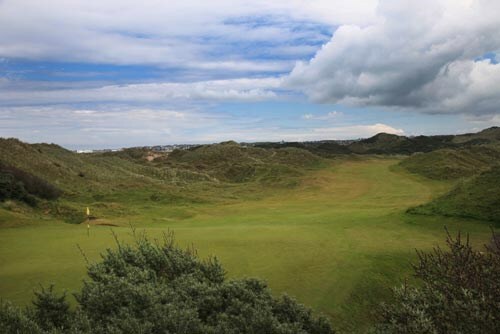 As part of this exciting itinerary we have secured games at Royal Portrush in the week following the Open as well as 2 games of golf at the course rated by Golf Digest as the number one in the world - Royal County Down. Furthermore the best golf on the West Coast of Scotland is also featured offering you the best of golf in both Northern Ireland & Scotland. 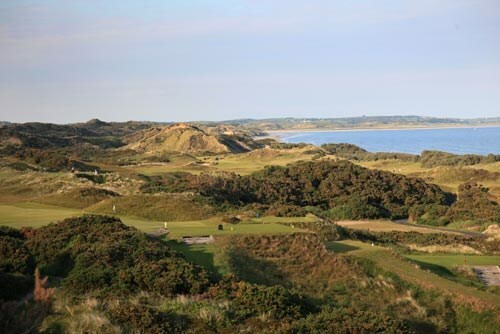 The GOLFSelect team have put together a fantastic 2019 Northern Ireland & Scotland escorted trip, playing some of the finest courses in Northern Ireland and the West Coast of Scotland from July 18-31, 2019..
We start our 2019 escorted trip in Belfast and this will be your base while the 148th Open is held at Royal Portrush, marking a historic return to Northern Ireland for golf’s oldest and most international Championship after nearly 70 years. 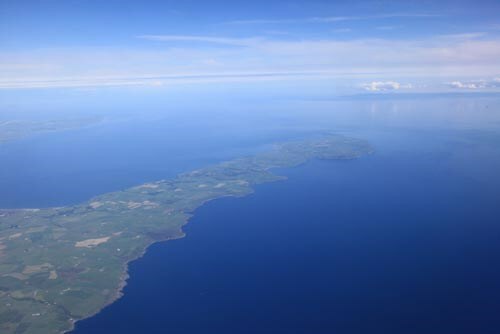 After our time in Belfast, we then catch a short ferry to the West Coast of Scotland to play three magnifient Open venues (Royal Troon, Turnberry and Prestwick). 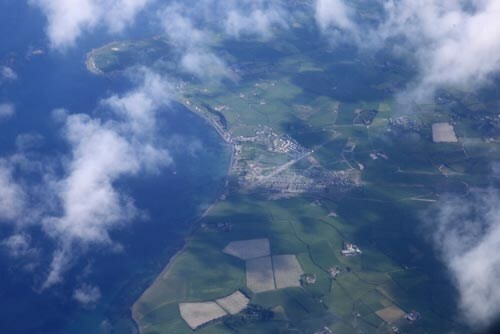 Our base will be at the spectacular Trump Turnberry Resort. 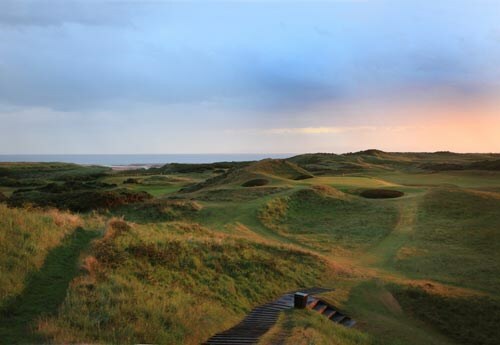 We then return by ferry to Northern Ireland and play Royal Portrush, while basing ourselves at the famous Bushmills Distillery. 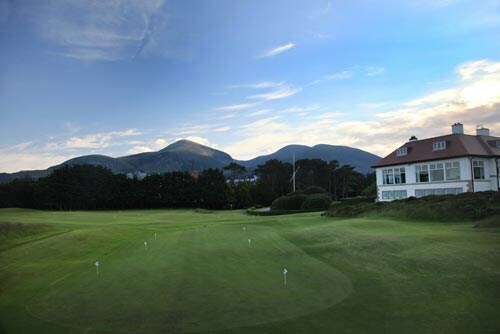 The final part of the tour sees us situated at the foot of the Mourne Mountains at the Slieve Donard Hotel, one of Northern Ireland's most prestigious properties as we play our final two games at the number one ranked course in the world - Royal County Down! We look forward in welcoming you on this magnificent tour and highly recommend you sign up promptly as we are limiting this trip you to 16 golfers. Titanic Hotel Belfast is located in the former headquarters of Harland & Wolff, builders of Titanic, and provides the perfect destination for anyone travelling to Titanic Quarter on business or for pleasure. Enjoy a day of leisure exploring Belfast and surrounds. 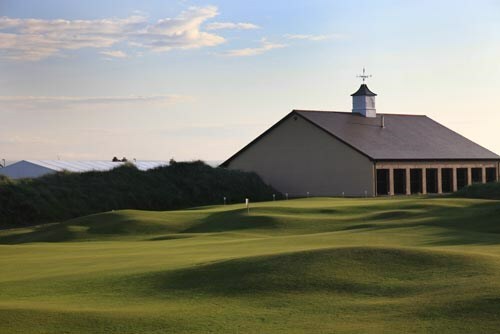 If you have been fortunate and secured tickets to the Open Championship then enjoy the event. If not then we can organise golf at a variety of courses around Belfast or sit back and relax all the action unfold on the big screen in one of the many pubs around town. One of only four Irish golf clubs with a "Royal" prefix, Royal Belfast Golf Club was founded in November 1881 and holds the distinction of being the oldest golf club in Ireland. Whilst the course is surrounded by illustrious links courses including Royal County Down, Royal Portrush and Portstewart, there is little doubt that Royal Belfast is one of the finest parkland golf courses in Ireland. This world class golf experience thrills golfers of all abilities. Distinctive bunkering, visually attractive wetland areas and swathes of gorse all adds to the exciting challenges of this great links course. 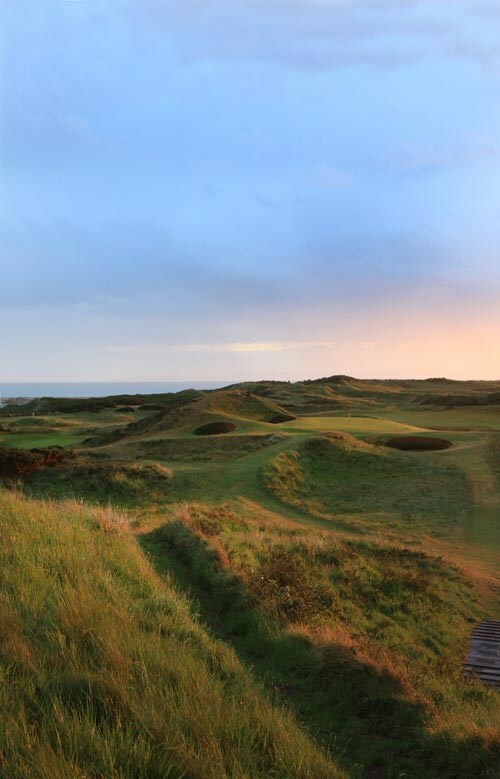 This 18 hole course has a par of 72, and, has 5 par 3 holes, a characteristic shared with the new Ailsa Course. Turnberry Hotel sits atop a hill overlooking the Ailsa Course - one of the world's top 100 courses. An extensive renovation programme has restored the original vision of the hotel, transforming its public rooms and ensuring Turnberry's enduring reputation as one of the world's top hotels. 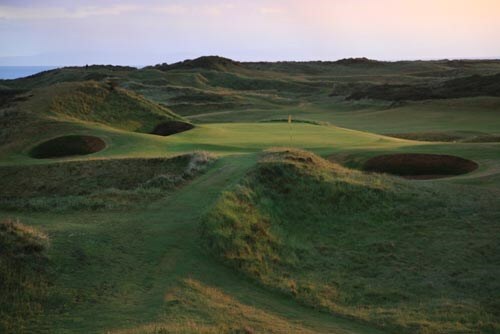 Royal Troon's Old Course is regarded as one of the great links courses in Scotland. It is a challenging test of golfing ability with the wind to contend with, and deep rough interspersed with gorse and broom. The Ailsa course at Turnberry is spectacular, sitting on a perfect piece of links land with the water providing a perfect backdrop. Home to a number of memorable Open Championships, the course has been remodelled providing even more challenge. 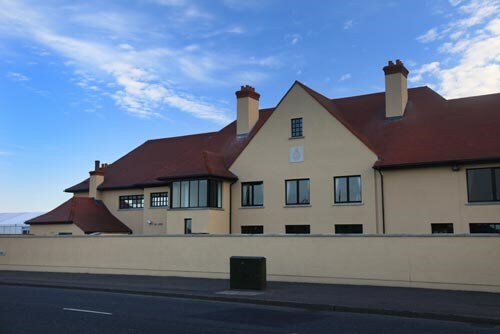 Prestwick Golf Club is situated just half an hour south west of Glasgow on the famous golfing Ayrshire coast. 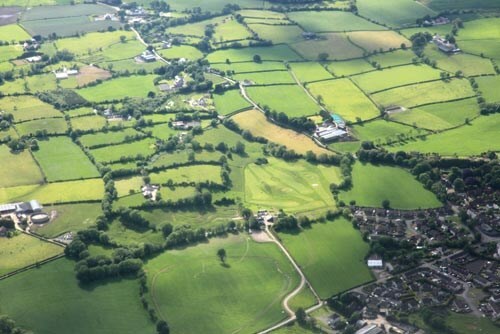 A stretch of land unequalled anywhere in the world for prime golfing terrain. 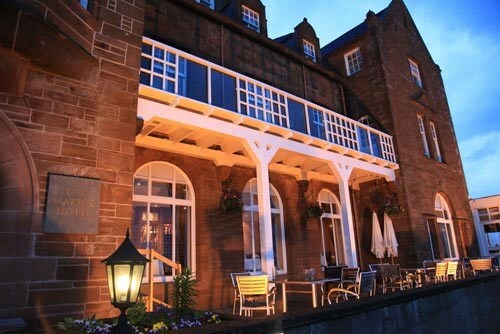 Since its re-opening in 1987, the Bushmills Inn has come to epitomise the true spirit of Ulster hospitality and is regularly featured by travel writers and television presenters from all over the world. Sightseeing at leisure. Optional golf available at Portstewart (extra cost applies). 20min transfer each way if required. 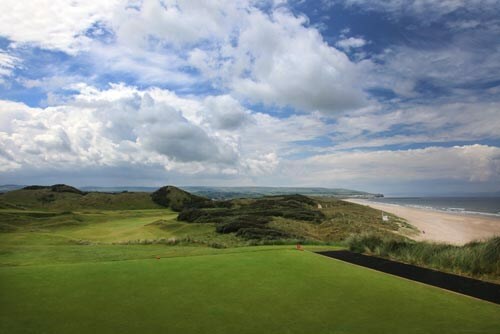 Portstewart Golf Club is proud to offer 54 holes of golf spectacularly set on Ulster's famous Causeway Coast with something for every golfer. 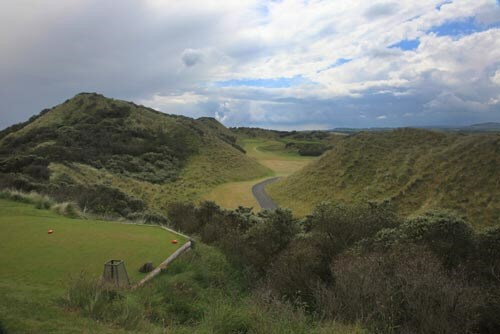 Many golfers have portrayed Royal Portrush Golf Club Dunluce Links as one of the most challenging in the golf course world. For only the second time in Open history, the Open Championship will be held outside of Scotland or England (both times at Royal Portrush). 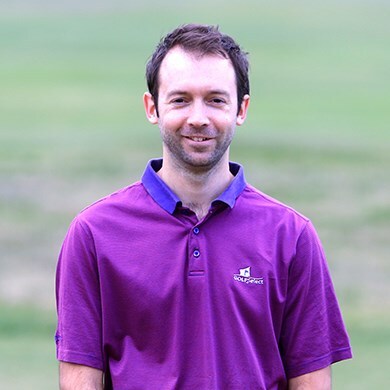 The world's greatest golfers will gather to do battle for the famous Claret Jug in Northern Ireland for the first time since 1951 when Max Faulkner was the winner. 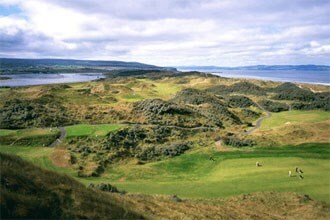 The golf club has hosted many championships, such as the first Open Championship ever held in Ireland in 1951. 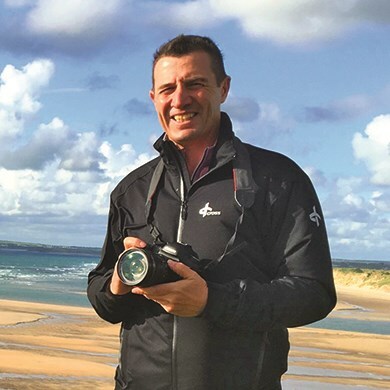 In more recent times, Royal Portrush has hosted the Senior British Open 1995-1999, the Amateur Championship in 1993 and in July 2019 it will host the 148th Open Championship. 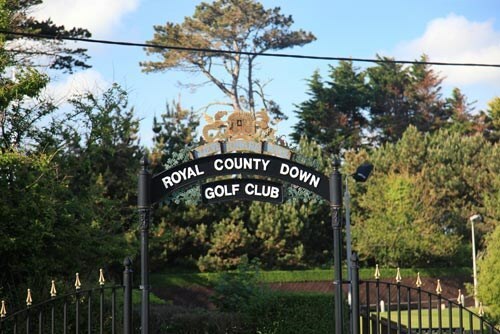 Royal County Down is one of the oldest Golf Clubs in Ireland with traditions dating back for more than one hundred years. 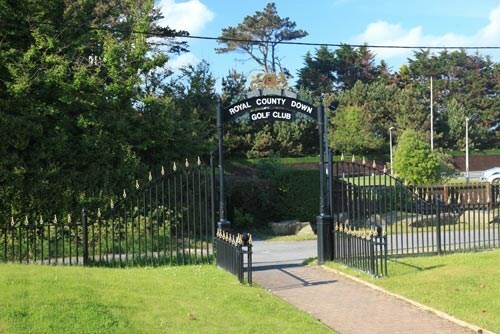 Situated in Newcastle, where in the immortal words of Percy French, "The Mountains of Mourne sweep down to the sea", Royal County Down is not only a fine test of golf but has accompanying scenery that is spellbinding. 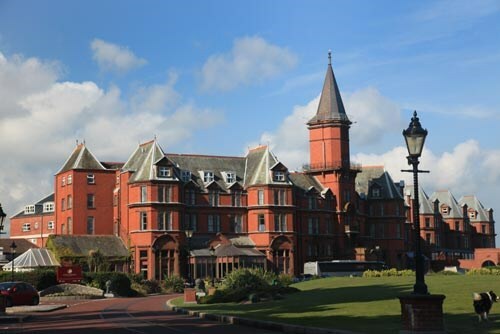 Open for over 100 years, Slieve Donard stands in 6 acres of private gardens leading to the world famous Royal County Down Golf Club. 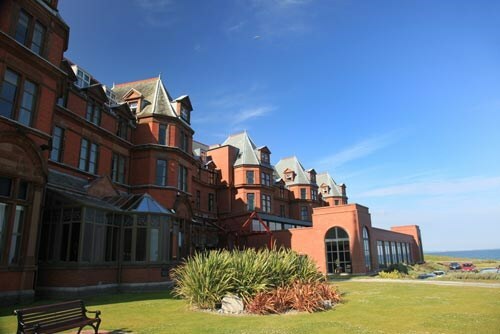 With deluxe accommodation, luxury surroundings and excellent facilities, Slieve Donard provides the ideal setting for any occasion. Situated on Ulster's magnificent Causeway Coast Portstewart Golf Club presents a difficult but fair game. 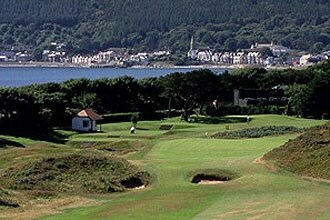 The Strand Course, redesigned in 1992, is indisputably the jewel in Portstewarts crown for both quality of game and scenery. 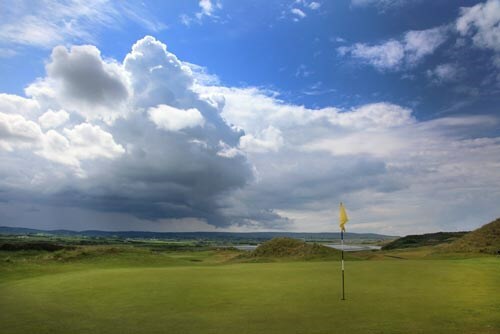 The course is set in classic links country amid towering sand dunes with views at every turn of the blue Donegal Hills, the rolling Atlantic and the tranquil estuary of the River Bann. 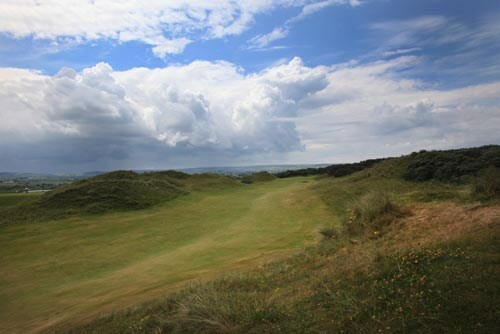 The opening hole with its evalted tee, dog-leg right to the green and sandy strip on the right, was always a particularly good and memorable opening hole and it is now immediately followed by seven new holes which are a joy to play. 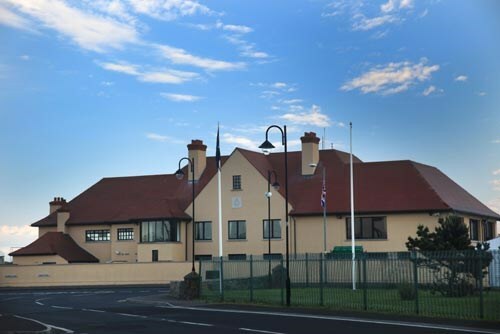 One of only four Irish golf clubs with a "Royal" prefix, Royal Belfast Golf Club was founded in November 1881 and holds the distinction of being the oldest golf club in Ireland. Whilst the course is surrounded by illustrious links courses including Royal County Down, Royal Portrush and Portstewart, there is little doubt that Royal Belfast is one of the finest parkland golf courses in Ireland. Renowned architect, Harry Colt, was engaged to design the new course in 1925 and such was his success, that Royal Belfast has remained largely unchanged to this day. Today, Royal Belfast provides a stern golfing challenge and offers one of the most beautiful settings of any Irish golf course, with its unrivalled views of Belfast Lough and the Antrim plateau beyond. At the heart of its varied challenge is the constant requirement for accuracy rather than length, while the numerous bunkers and subtly sloped greens ensure posting a low score is indeed a difficult feat. The many major events hosted at Royal Belfast over the years include the Irish Professional Championship, won by Christy O'Connor Sr., and more recently, the Ulster Professional Championship, won by Darren Clarke. Among the more memorable holes on the front nine are the short par three 4th, which measures only 142 yards but requires an accurate shot to a green literally surrounded by bunkers; the par four 8th, with out of bounds all along the left hand side; and the 408 yard par four 9th, rated the most difficult on the course and playing directly alongside Belfast Lough. The homeward journey will not disappoint either. From the beautiful short par four 10th playing alongside the water's edge, to the long par five 18th, each hole is a real pleasure to play. 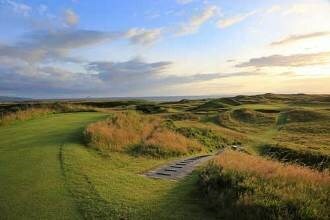 Many golfers have portrayed Royal Portrush Golf Club Dunluce Links as one of the most challenging in the golf course world. The golf club was founded in 1888 and has hosted many championships, such as the first Open Championship ever held in Ireland in 1951. 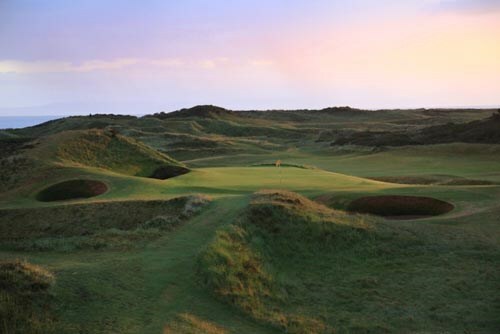 In more recent times, Royal Portrush has hosted the Senior British Open 1995-1999 and The Amateur Championship in 1993. 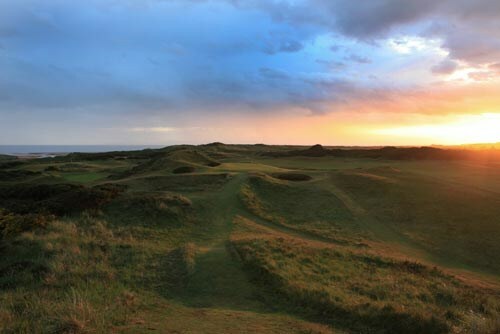 Situated on the beautiful North Antrim Causeway coast, Royal Portrush Golf Club occupies a triangle of giant sandhills which present magnificent views in all directions. 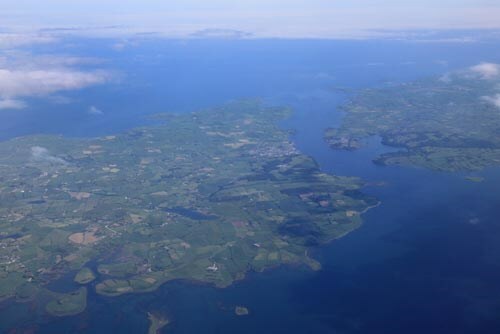 The hills of Donegal in the west, the Isle of Islay and Southern Hebrides in the north, with the Giant's Causeway and the Skerries in the east. 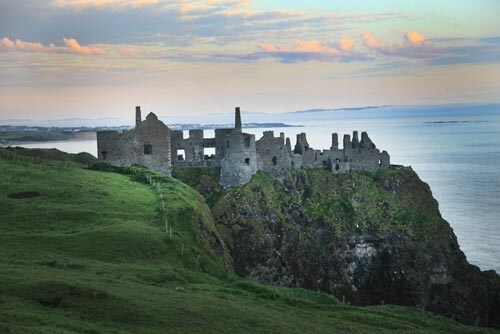 The course is overlooked by the ruins of 13th century Dunluce Castle and this gives its name to Royal Portrush's famous Dunluce course. 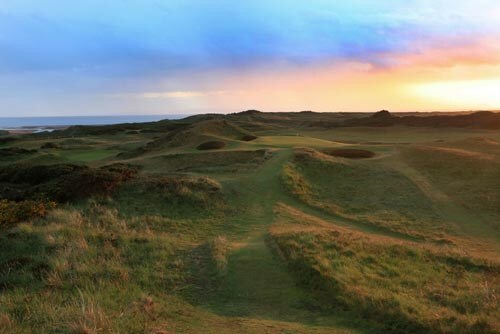 Forever remembered as the birthplace of the Open Championship, Prestwick Golf Club has hosted 24 Opens in all, the last one being 1926, after which the crowds were deemed too large. 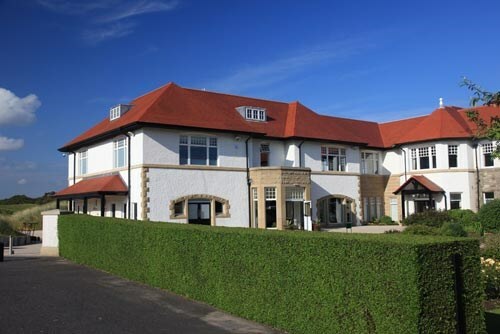 Prestwick Golf Club is situated just half an hour south west of Glasgow on the famous golfing Ayrshire coast. 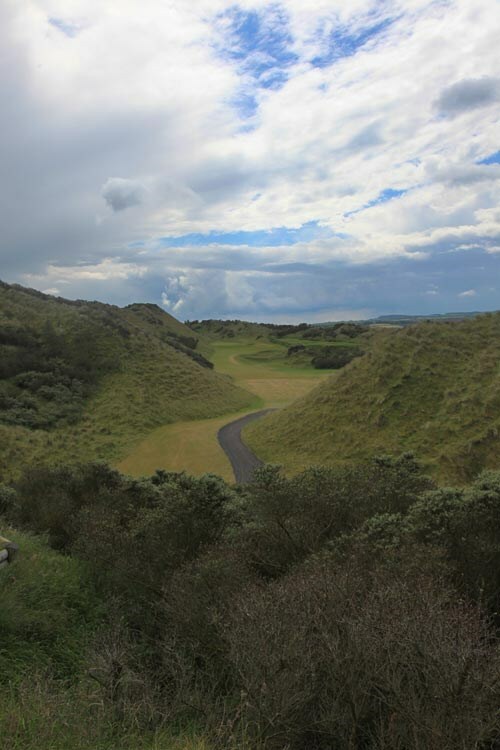 A stretch of land unequalled anywhere in the world for prime golfing terrain. 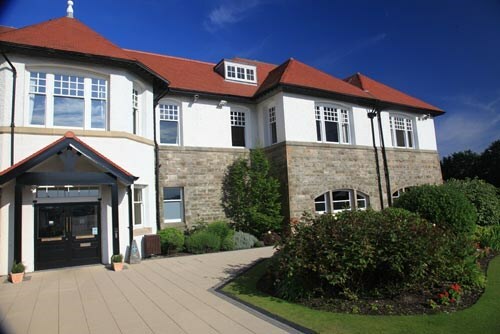 Prestwick shares it boundaries with Royal Troon and is just 20 minutes from Turnberry, with Open final qualifying courses such as Kilmarnock Barassie, Glasgow Gailes, Western Gailes and Irvine Bogside all within just 5 minutes drive. Prestwick Golf Club is a relaxed and friendly club that enjoys hosting golfers from all around the World. Visitors are encouraged to use their temporary membership to its full capacity, and enjoy the full lunch in the lavish Dining room or just a snack in the relaxed Cardinal room. The most junior of Open venues, the Ailsa course at Turnberry is nevertheless one of the best and toughest challenges in championship golf. Sited between the magnificent Trump Turnberry Resort and the sea, this great course weaves in and out of spectacular dunes that, with Turnberry lighthouse and Ailsa Craig standing over 1200 foot high out at sea, form great backdrops to all of the holes. 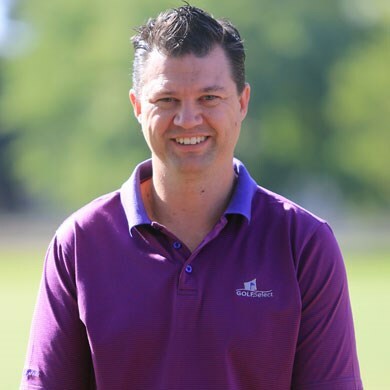 The course has recently undergone an extensive renovation with the changing of a number of holes providing even more excitement along the cliffs. In fact the trio of holes 9, 10, 11 rival if not surpass those at Pebble Beach. The iconic Turnberry lighthouse has been transformed into arguably the world's best halfway house providing amazing views at the end of the 9th hole. Although stretched to over 7,000 yards for Open Championships, the medal course is not one that demands great power for par but rather more care and attention to detail both off the tee and with the approach shots. This course has seen some of the best exhibitions ever in the game, particularly over its closing holes testing the world's greatest players to their limits. 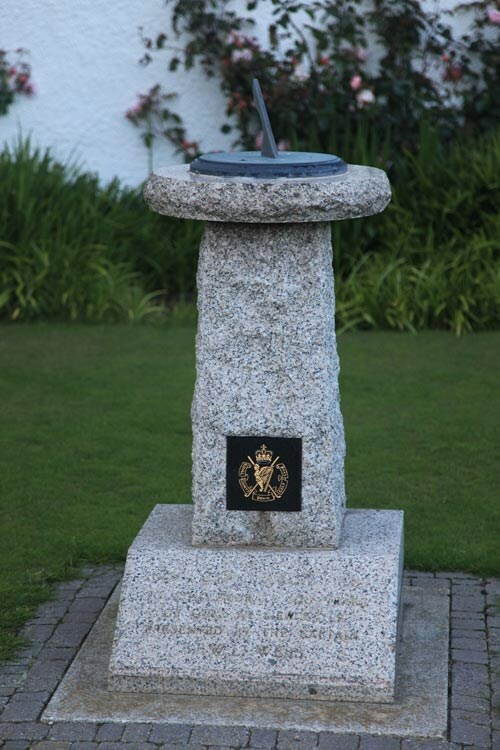 The course is named after the King of Scotland, Robert the Bruce, the historical warrior who led Scotland to claim its right as an independent country in the Battle of Bannockburn in June 1314. He was born in July 1274 in Turnberry Castle. The Turnberry Lighthouse now stands amongst the ruins of this medieval castle. Martin Ebert, responsible for the reborn Ailsa, had been commissioned to create what is a stunning sibling to the legendary Ailsa course. This world class golf experience thrills golfers of all abilities. Distinctive bunkering, visually attractive wetland areas and swathes of gorse all adds to the exciting challenges of this great links course. 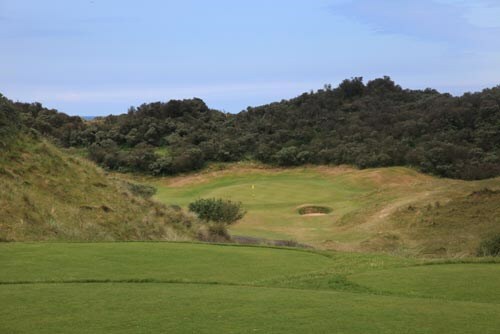 This 18 hole course has a par of 72, and, has 5 par 3 holes, a characteristic shared with the new Ailsa Course. Breathtaking vistas from the 8th 9th, 10th and 11th delight golfers, with spectacular views of Turnberry’s stunning coastline, castle ruins and the lighthouse.